Of all the founding fathers, Sir Adeyemo Alakija was outstanding. His massive commitment distinguished him among the 33 founding heroes. Scholars of comparative history subscribe to the view that compartmentalization of historical periods leads to intellectual rigidity. But the making of the DAILY TIMES is not an academic concern. It had a beginning which we are currently celebrating. What other way can we consummate this institutional glory than giving pre-eminence to the urbane originators. Men without whom there possibly wouldn’t have been this fascinating newspapering empire whose tentacles spread throughout the length and breadth of this country. Except for the creation myth, nothing evolved from the void. In other words, a foundation was laid for this independence publication by some extraordinary people. Folk with foresight: The epochal event resulted in the birth, growth and development of what is now known as the DAILY TIMES. In its embryonic stage, it was called the NIGERIAN DAILY TIMES, all of them contributed immeasurably to the characterization of this tabloid, whose first edition 92 years ago sold for just one penny! Sometime in June 1925, four illustrious men came together in Lagos and decided to establish what later became NIGERIAN DAILY TIMES. Those present on that momentous occasion were Messrs V.R. Osborne, Adeyemo Alakija, L.A. Archer and V.R. Barrow. Most of the authors of the daily times were expatriates. Of all the founding fathers, Sir Adeyemo Alakija was outstanding. His massive commitment distinguished him among the 33 founding heroes. He put all he had to the actualization of their goal: a newspaper of distinction. Apart from being the chairman of the board, he was the pillar of the establishment. His reputation as a successful lawyer gave the organization a leverage in the accomplishment of corporate objectives. He had the arduous assignment of executing board decisions. His administrative shrewdness manifested bountifully during the numerous meetings he headed. Born in Abeokuta in 1844, he, like his contemporaries, benefitted from missionary education: St. Xavier Catholic School, St. Gregory’s Grammar School, all in Lagos. From the classroom to the then in vogue government service – first as a secretariat worker, then an officer in the Education Department and later an operative in the Railways, among other later assignations…. After a break from the Railways, he headed for Ghana (the then Gold Coast) and came back to rejoin the Railway Department in 1903. From here he crossed over to the Treasury and to the Posts and Telegraph subsequently. As was the practice those days, virtually all the elites went to England or USA for further studies. This man of destiny travelled in pursuit of a law degree. His brilliance earned him an award (Class 1 Certificate in Criminal Law and Procedure). At the completion of his three-year law programme, he came back to join his brother Olayinka in partnership. His demeanor, candour and wit played a crucial role for him during legal practice. His tight professional schedule notwithstanding, Sir Adeyemo still participated in local politics. His name was associated with the restoration of Esugbayi Eleko as the Oba of Lagos. 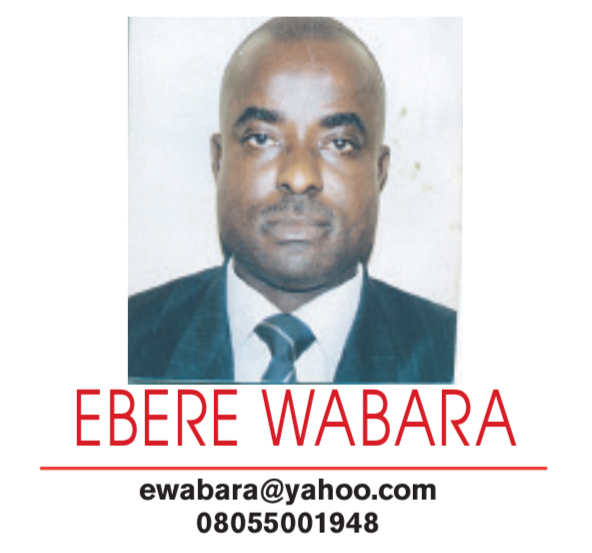 Later he became a member of the Legislative Council, representing Egba Division. He was reputed to have canvassed for the elevation of more Africans to exclusive posts in the Civil Service reserved for colonialists and the provision of an improved working environment for Nigerian lawyers in the public service. His disposition towards enhanced societal welfare informed his membership of government committees namely the Licensing Board, the Lagos race course Board Management, the Prisoners Visitors’ Panel, the School Committee and the Lagos and Colony Committee. He was also chairman of the Board of Income Tax Commissioners for some time. 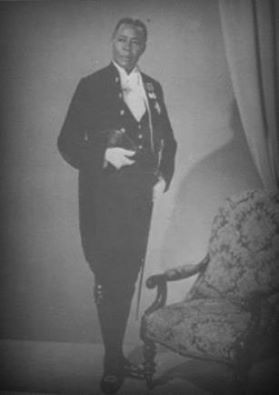 In addition to the aforementioned engagements, he served as the secretary of the local auxiliary of the Anti-slavery and Aborigines Protection Society as well as being the founder and chairman of the Board of Directors of Nigerian Printing and Publishing Company, publishers of Daily Times at the period. The quintessence of his numerous contributions, possibly, was his selection with Ernest Ikoli (founder-editor of the weekly African Messenger, which has been wrongly stated by some essayists to be progenitor of DAILY TIMES—subject of another article shortly)—the only Nigerians to serve on the Governor’s Advisory Committee on Economic Development and Social Welfare constituted to “consider, coordinate and make recommendations to the government regarding the economic and social welfare development schemes in Nigeria with particular reference to finding employment for demobilized Nigerian soldiers.” This served as a platform for his advocacy for reformation with regard to prison services to provide for rehabilitation of ex-convicts and retired WW2 soldiers. On taking his leave from the Legislative Council he was nominated to sit on the Governor’s Executive Council. This ensured a definite constitutional step forward. To show appreciation for his efforts in uplifting the essence of human existence, he was made a Knight, the ultimate honour in Christendom. Only especial members of the community got such conferment. Unfortunately, it has lately been commercialized just like most perverse awards and titles. His scholarship and status never estranged him from cultural imperatives; hence he bagged such titles as Baba Isale of Lagos, Bariyun of Ake and later Lisa of the Egbas. Sir Adeyemo Alakija passed on, a fulfilled man in 1952. He deserves the “greatest credit’ (and indeed whatever accolades) he had got and will continue to get posthumously from now till eternity. While Sir Adeyemo’s involvement in the groundwork of DAILY TIMES was deliberate, planned and organized, the advent of Cecil Harmsworth King, a Briton who was seconded from the British Mirror, during the evolution of Daily Times, was somewhat an exercise in experimentation, considering the circumstances. Elsewhere, it has been described as an “accident”. Mr. King’s physique and carriage, according to a recent document, smacked of haughtiness. His colleagues and friends, going by the author’s account, perceived him as “an aloof personality, and academic in his approach to most popular newspapers in Britain.” Son of an Anglo-Irish colonial administrator in the Indian civil service, King was educated at Winchester and Christ Church, Oxford. His countrymen, both here and at home, resented his cocky attitude. In fact, the only British official whose friendship he cultivated was Sir Hugh Foot (Lord Caradon) who at the time was chief secretary in Nigeria when King first touched these shores. In contradistinction, however, he got on well with the indigenous population so much that his compatriots were taken aback and could not understand the duality in his behavioural patterns: he seemed to have had sentimental attachment to the region and its people while castigating Britons for their deleterious attitude towards Africans.